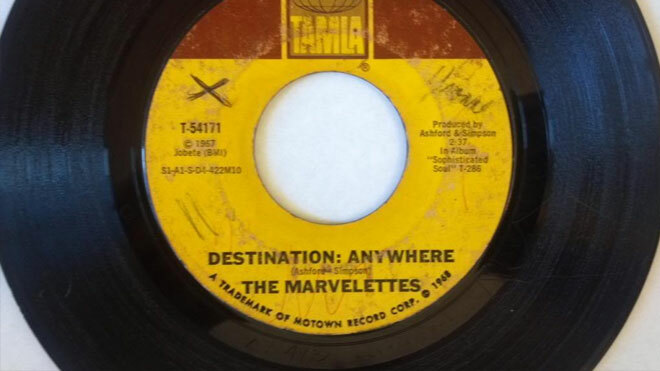 With the honourable exception of The Marvelettes, those embarking on a journey typically have an end point in mind. Yet, Destination Anywhere has been the soundtrack to the recent pension liberalisation changes. The publication by NEST, the state-backed pension provider, of a blueprint for retirement income could give a sense of direction to an area of public policy that has been looking increasingly chaotic. After effectively abolishing the requirement for savers in defined contribution pensions to buy an annuity to provide them with an income, the government has stubbornly refused to set out an alternative retirement income policy. Instead, the omnipotent market, given a year’s notice, was expected to magically provide solutions, as if revamping retirement income was akin to rebranding washing powder. The resultant dash for cash has been cited by our chancellor as a sign of success. Yet, a vast array of research shows that most people want to use the bulk of their retirement savings to provide an income in old age. Without straightforward good value products, some will be at risk of exhausting their savings too quickly – including through the ravaging impact of inflation on cash savings. Others will underspend amid fear of running out of money and have a reduced standard of living. It is also clear that people value choice but many don’t want to have to make complex decisions about how they access their savings and they want and expect sensible retirement income options to be signposted to them. NEST’s proposals move thinking on considerably by considering what a good retirement income product would look like. Its blueprint covers three phases of later life, from mid 60s to mid 70s, mid 70s to mid 80s and mid 80s and beyond. At retirement the pension pot would be split 90/10. The largest portion would come into an income drawdown fund that would provide a steady income that will remain invested with the aim of protecting savings against inflation. This would be taken over some 20 years. The smaller portion will be a cash fund that can be accessed for one-off expenses. If any of drawdown or cash savings remain when the member dies, it passes to their heirs. A premium of 1 per cent to 2 percent would be skimmed off monthly income payments between age 65 and 75 to fund what NEST calls “later life protected income”. This would start paying out when someone reached their mid-80s. A saver would be given the option to take the premiums saved as a lump sum at 75 instead of buying the deferred annuity. This, NEST suggests, could be operated as a collective defined contribution scheme – paying out incomes from a pool of assets that have been invested as well as from reserves. The beauty of the scheme is that it takes some of the drivers behind the government’s pension agenda: people’s desire to have the flexibility to take out cash to fund occasional expenses and perhaps to have the option to bequeath some remaining savings (especially if they die early). But it retains the longevity insurance and inflation protection of the best of the annuity market. There is much to debate in NEST’s proposals. Are the three phases of retirement it identifies appropriate? Is it acceptable for 85 year olds to potentially having a sharp drop in income as they move from income drawdown to protected income phases? Likewise is it really sensible, as NEST argues, for this income to be fixed in nominal terms rather than rising with prices or wages? Is 75 too late to be making major financial decisions? Why use a CDC model only for the very last years of retirement? The pricing of such a product will also be important. Other players in the pensions industry, if they are clever, will respond to the challenge and come forward with their own solutions – or explain how they could fulfil NEST’s. This would be a step forward from providing cash lump sums or reheating for the mass market expensive products designed for a wealthy few. The NEST proposal is certainly not the only means of travel but it at least it sets out a destination. Could CDC hatch from NEST?